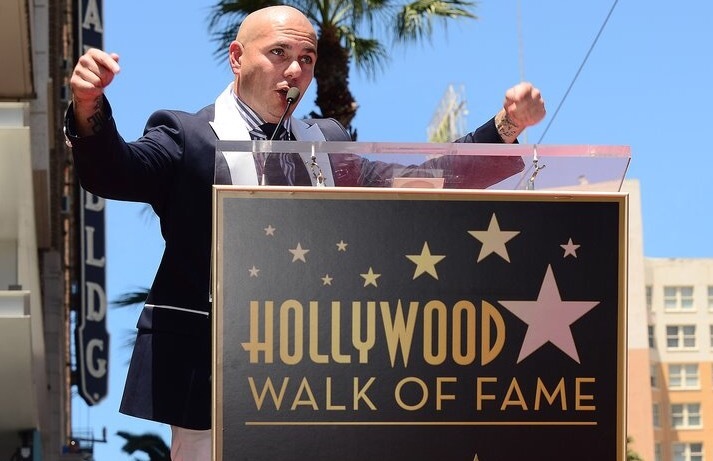 Just Announced: Pitbull will finally be receiving his Star on the Hollywood Walk of Fame later this month. The ceremony will take place Friday, July 15 at promptly 11:30 a.m. to approximately 12:15 p.m. (PT). The ceremony is free to attend, and will have a public viewing area for fans. Pitbull will be honored with the 2,584th star on the Walk of Fame in the category of recording. His star will be located at 6201 Hollywood Boulevard in front of Eastown, in Celia Cruz Square. Friends and mentors Tony Robbins and Luther “Uncle Luke” Campbell will be guest speakers at the ceremony. They will also be helping Emcee and Hollywood Chamber President/CEO Leron Gubler unveil the star. “The world is fascinated by Pitbull’s story and is remarkable talent. The Hollywood community welcomed him with open arms and applauds him for his work by placing him on one of the world’s most famous landmarks, the Hollywood Walk of Fame,” said Ana Martinez, producer of the Walk of Fame ceremonies. Pitbull’s Walk of Fame event will be live-streamed exclusively at WalkOfFame.com/Pitbull. Congratulations I’m so happy for you!